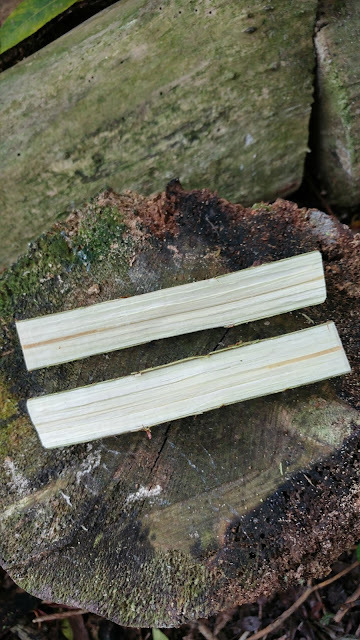 The word 'bushcraft' attached to any product seems to drastically increase it's price but unfortunately often not it's value. That's not to say that more expensive equipment isn't good, sometimes it's very good but at other times the gulf between the prices of kit, most particularly knives, is not always as vast as the quality and performance. 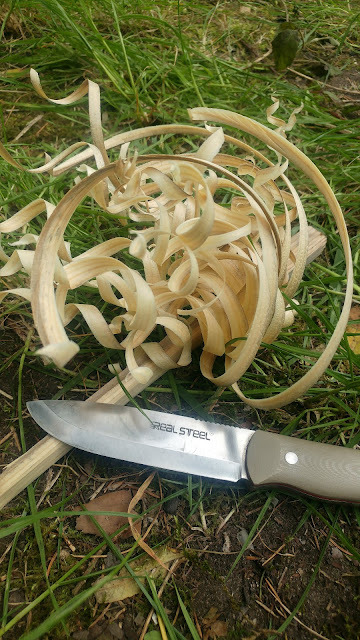 The Real Steel Bushcraft knife may not be as low cost as the ubiquitous Mora Companion but it is full tang, has a thicker blade (at 3.5mm instead of 2.5mm) than a Mora and a micarta handle. It certainly looks the part of a bushcraft knife with a Scandinavian grind and in this case coyote micarta handle slabs. 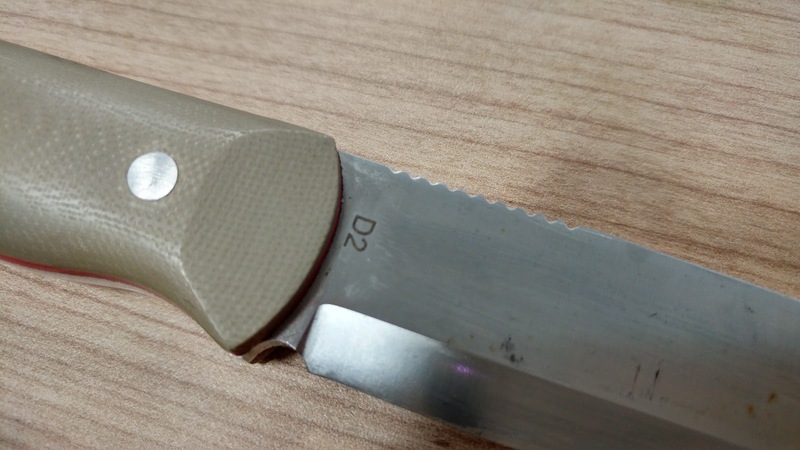 At less then £60 the D2 steel is a bargain and will hold it's edge well, I had mine for well over a year and used it regularly and only needed to give it the most basic of care and sharpening. The Scandinavian grind enables this knife to excel in in wood processing tasks, from making feather sticks for fire lighting to carving and whittling duties. 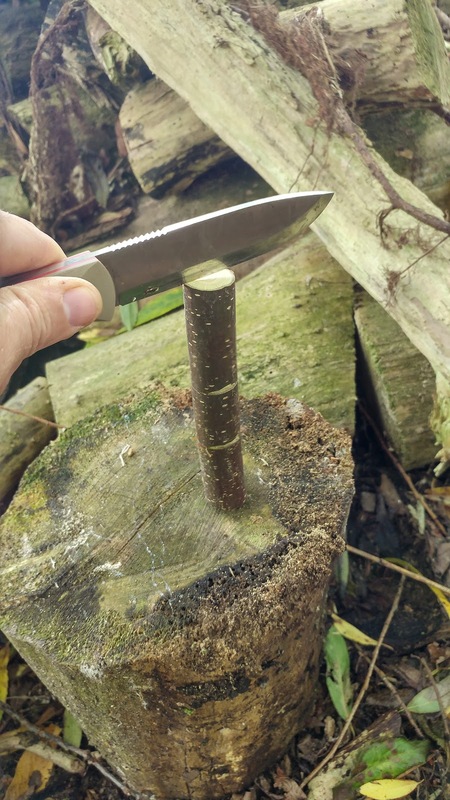 While some might criticise it as having no chopping power the same could be said of any bushcraft knife of ideal size. 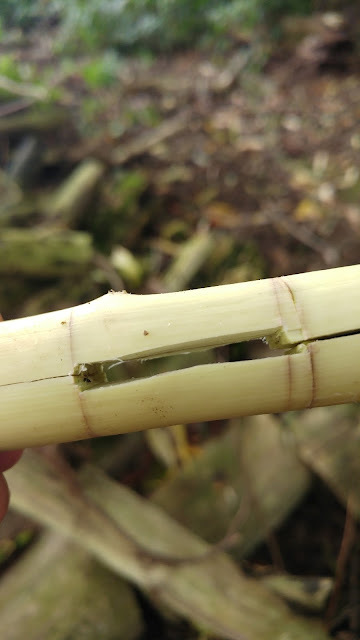 Between four and five inches is a good size for general craft chores, food processing and gentle batoning; all the tasks required of a general purpose outdoors knife. 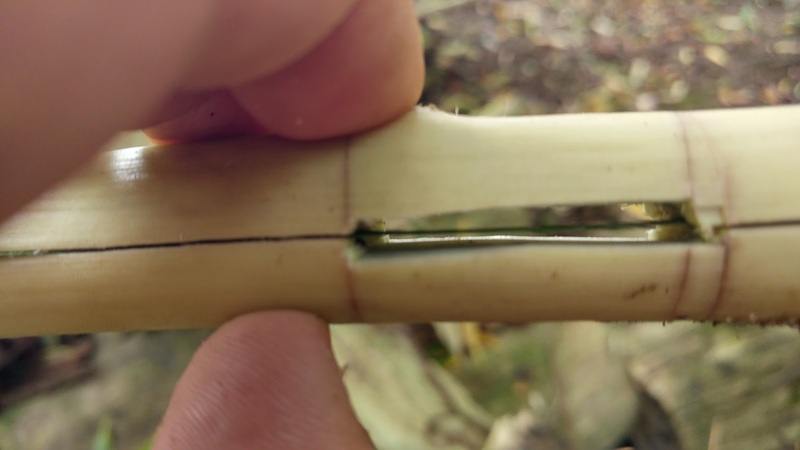 Light duty batoning to make a kazoo. 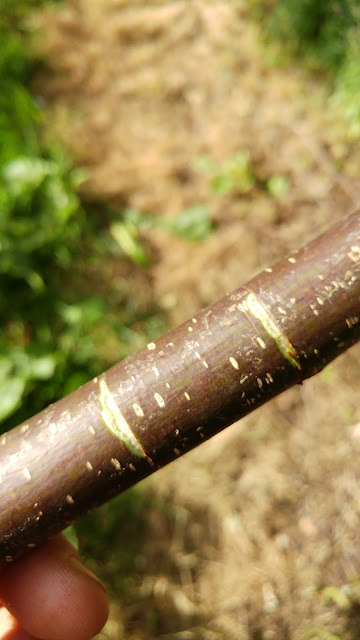 First take a strait stick, willow or hazel are normally good choices. Score two parallel lines on it about an inch apart. Once you have scored your lines all the way around the circumference of the stick split it lengthwise. Now using those scored lines as markers (removing the bark is optional) carve out a few millimetres on each half of the stick so that when you place the two half's back together you have something like this. 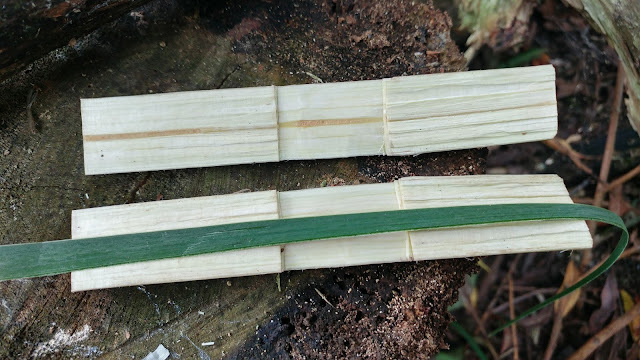 Now take a 'reed' a strong piece of grass a slice of a leaf or something similar is ideal, you can use an elastic band if you struggle for something natural. Once places back together you can now blow through the gap you carved for a musical note. The kydex sheath with drain hole might not be quite as rustic as a more traditional leather sheath but that does mean that the blade is better protected from the elements than in a leather sheath that gets damp and holds water. I attached my sheath to a drop leg panel for belt carry although it does come with a kydex belt loop, I wasn't a fan of the way it carried with the belt loop it came with though there was no flex in it and it hung bellow the belt line like a dangler sheath and because there was no flex it kept getting caught on things and jabbing me, so I first replaced the belt loop with one of TOPS spring steel belt clips and later the drop leg panel. All in all this knife is hard to beat on price or performance as a general bushcraft knife.